Production has commenced in Albuquerque, New Mexico on Marvel Studios’ highly anticipated movie “The Avengers” being directed by Joss Whedon. The film will continue principal photography in Cleveland, Ohio and New York City. Robert Downey Jr. returns as the iconic Tony Stark along with Chris Hemsworth as Thor, Chris Evans as Captain America, Jeremy Renner as Hawkeye, Mark Ruffal as Hulk, Scarlett Johansson as Black Widow, Clark Gregg as Agent Phil Coulson, and Samuel L. Jackson as Nick Fury. The movie is set for release on May 4, 2012. 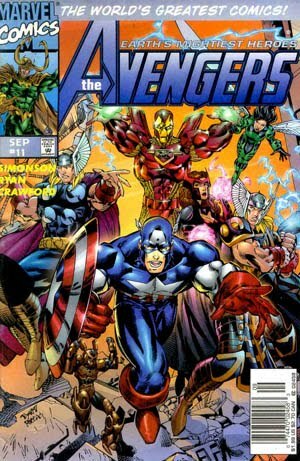 Read on to find out more details about "The Avengers". Continuing the epic big-screen adventures started in “Iron Man”, “The Incredible Hulk”, “Iron Man 2”, “Thor”, and “Captain America: The First Avenger”, "The Avengers” is the super Hero team up of a lifetime. When an unexpected enemy emerges that threatens global safety and security, Nick Fury, Director of the international peacekeeping agency known as S.H.I.E.L.D., finds himself in need of a team to pull the world back from the brink of disaster. “Marvel’s The Avengers” is being produced by Marvel Studios' President, Kevin Feige, and executive produced by Alan Fine, Stan Lee, Louis D’Esposito, Patty Whitcher, and Jon Favreau. Marvel Studios’ Jeremy Latcham and Victoria Alonso will co-produce.